The King isn't too pleased to see Kyrie Irving and Isaiah Thomas jerseys getting burned. Jersey burning has become the worst tradition in sports, and it’s strongest hold is in the NBA. 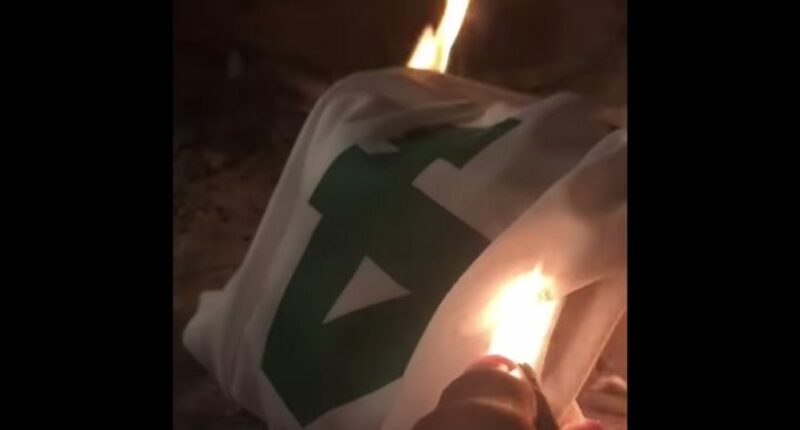 Shortly after Tuesday’s blockbuster trade that sent Kyrie Irving to the Celtics for Isaiah Thomas, Jae Crowder, Ante Zizic and a 2018 draft pick, fans began posting videos and photos of Irving and Thomas jerseys in flames. Jersey burning is always dumb. If you don’t want to wear the jersey of a player who left your team, donate it. It’s one thing when players sign elsewhere as free agents, as Gordon Hayward did. It’s a bit more understandable when players request a trade, as Kyrie Irving did. But why in the world were Celtics fans burning Isaiah Thomas jerseys, when Thomas had no say in the trade and, if anything, was the one betrayed by the front office? LeBron James unleashed a Twitter rant on Thursday expressing the ridiculousness of the jersey burning trend, going to bat for Thomas as well as Hayward. sister tragic death. Gordon Hayward paid he's dues as well and decided to do what's best for him and family. Put in the work, got better…. Became an All-Star, etc!! If these guys weren't good, u guys would be the first to say "get them up out of here". Man beat it! When "we"…. decide to do what best for us it's "cowardly" "traitor", etc but when it's on the other side it's "business" huh!?!? Ooh ok. Man do…..
James made a few great points about the hypocrisy of the basketball “business,” although front offices do occasionally come under fire for jettisoning fan favorites. Although James did not mention Irving in this series of tweets, he stood up for his former teammate with his response to this fan’s jersey-burning fakeout. James isn’t the only player angered by the trend. Celtics wing Jaylen Brown also tweeted his disappointment when he saw Bostonians were burning Thomas jerseys. LeBron was the original victim of the jersey burning trend when he left the Cavs for the Heat in 2010. Since then we’ve seen it happen to several players across sports, and even an entire franchise when the Chargers left San Diego for L.A.
Jersey burning was never that funny or interesting, and it’s only gotten worse with age.